“We need another cart” are the words that Gary Miller never wants to hear again. He also wants to share that there is no such thing as ‘passive income’ in this business because it’s really hard work. 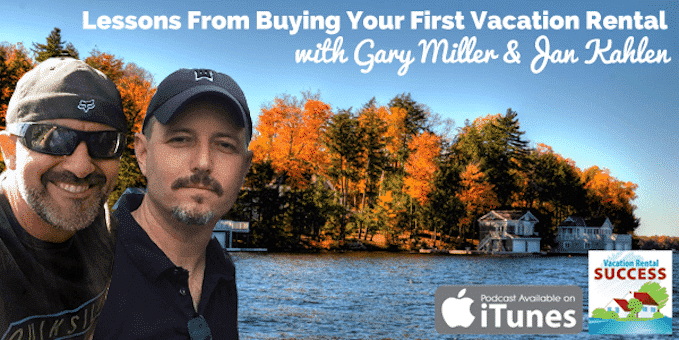 Gary is one of the thousands of new owners who will enter the vacation rental business this year. Some will be lured by the Airbnb concept of shared accommodation, while many will go the traditional route made popular by Home Away and VRBO. Whichever way they go, they will all realize pretty quickly that there are no shortcuts; no easy methods, and no minimal spending once this train leaves the station! Gary, and fellow new owner Jan Kahlen, have both invested in Ontario waterfront properties this year with the intention of maximizing their income, while still having time to enjoy their properties, and in this episode we explore the world of the start-up owner. From researching the locations and understanding the different seasonal demographics to making the purchase and starting on the never-ending spend to equip a property, Gary and Jan, share their journey with us. 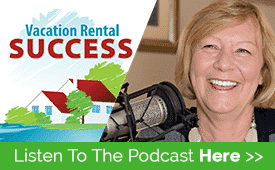 Both Gary Miller and Jan Kahlen are members of the Vacation Rental Formula and regular podcast listeners. They would love you to stop by and ask questions on the start up process so leave your comments below. Hi, Thanks for this great and helpful article. 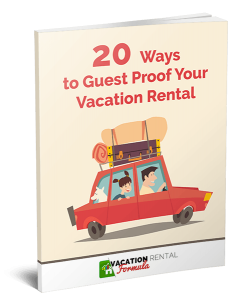 I’ve owned two Beach Vacation Rentals in Florida since 2011 and have had a great experience. In fact, I’m in the process of pulling equity out of those vacation rentals to buy a third! No, I don’t have the third picked out yet. I’m hunting around for good deals in Florida. Sorry for not answering sooner, I just got your message tonight. To answer your question about what products need to be of a higher standard? I would say think of your own wants and ask a few people you trust to tell you what they look for when staying at a VRP? I am a coffee drinker and I like a quality cup of coffee in the morning or a nice warm, soft towel after a shower not a cheap hotel style towel. Your going to get many different answers but try to address the ones that keep reaccuring and spend a few dollars more for quality. When buying back up or replacement items then look for deals. Buying in bulk can be a big money saver and cuts down on delivery charges. Without exaggeration, I have had 6 trips from PA to FL to outfit our house, 40+ shopping expeditions and thousands upon thousands of dollars in purchases of essentials in order to make our vacation home in Southwest Florida a success (Thank G-d for Walmart, Target and Home Goods as well as fabulous “hunts” in local thrift shops) That being said, I can honestly say that as a vacation home owner, ESPECIALLY if it’s your first property, you should stay in it yourself a few times as well as give it away to a few friends or family members to get their take on how you outfitted the home. Include a very personal letter in your welcome book (and make your welcome book a fabulous resource for your guests) to let people know that you appreciate them taking a chance on you and your place and ask them to send you suggestions BEFORE putting them on any internet reviews ~ be honest, let them know you are new to this but want them and EVERY OTHER person after them to have EVERYTHING they need….people rent homes instead of hotel rooms because they are after a more personal experience ~ make it personal, not about business. After all, you are lending someone a very expensive asset and they are spending their precious leisure time and money on YOUR place . Christine Harvell, Thats great advice! We have had a busy summer and fall and have learned so much along the way. Looking forward to VRSS2017 to meet up with all the wonderful people in this industry and to share my challenges and triumphs along the way.